The Pharmacy Show is the largest sourcing and networking event for pharmacy professionals in the UK. Attracting over 8,900 professionals across two days, it is the perfect opportunity to meet and network with thousands of pharmacy owners, wholesalers, buyers, distributors and decision makers, in a dedicated trade environment. 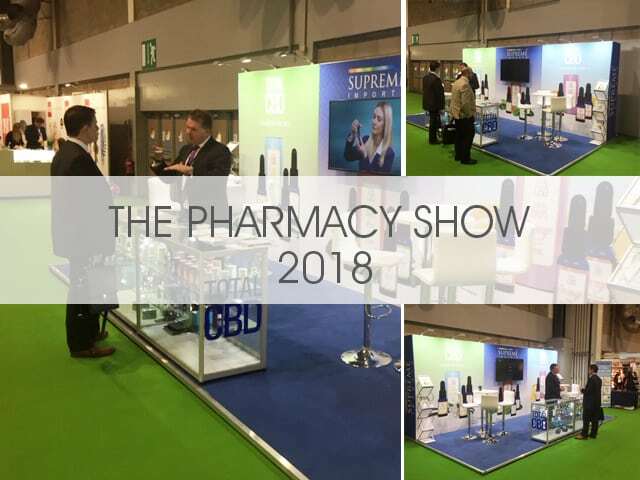 Supreme’s Andrew Beaumont Commercial Director and Gary Morris Bussiness Development Manager have been exhibiting our strong product offering; Total CBD at this year’s Pharmacy Show at the NEC Birmingham, UK.